Starting the year with an empties list is surely a good feeling as it also calls for some new shopping and new products which you always longed to try. 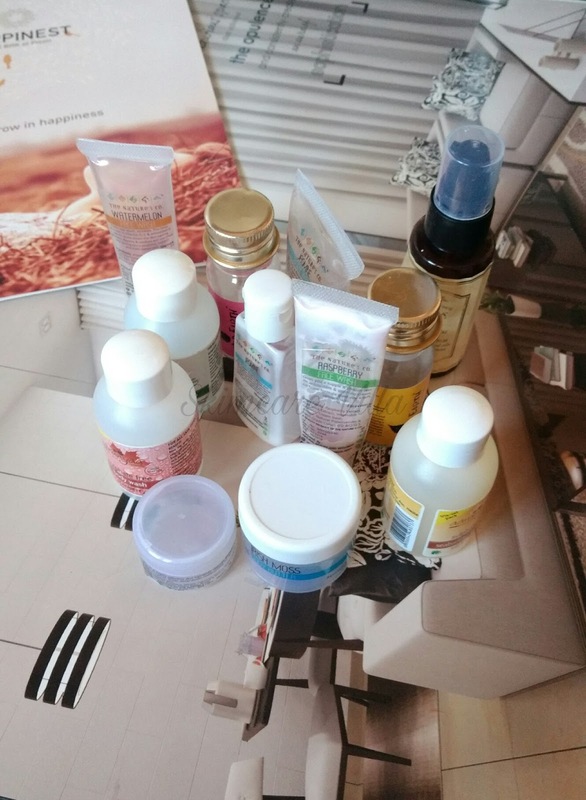 Believe me most of the products in the below empties list are travel sized products, but still I had a hard time for emptying them. Without much of blabbering let us head straight on to the empties list. Please remember the product list is a pending one hence accounting to more than 1 month of empties. Raspberry facewash by TNC is a perfect face cleanser for people with sensitive and dry skin. Amazing raspberry fragrance, no foam, creamy texture makes it an ideal facewash for all skin types. Moreover a little quantity goes a long way and hence it lasted me for around 2 weeks, morning and night, for usage. Highly recommended if you are looking for a change and some fruity fragrant indulgence. A less foaming face cleanser with the goodness of rose and Jasmine oil which doesn't dry out the skin. I like how hydrating it is and how travel friendly the packaging is. 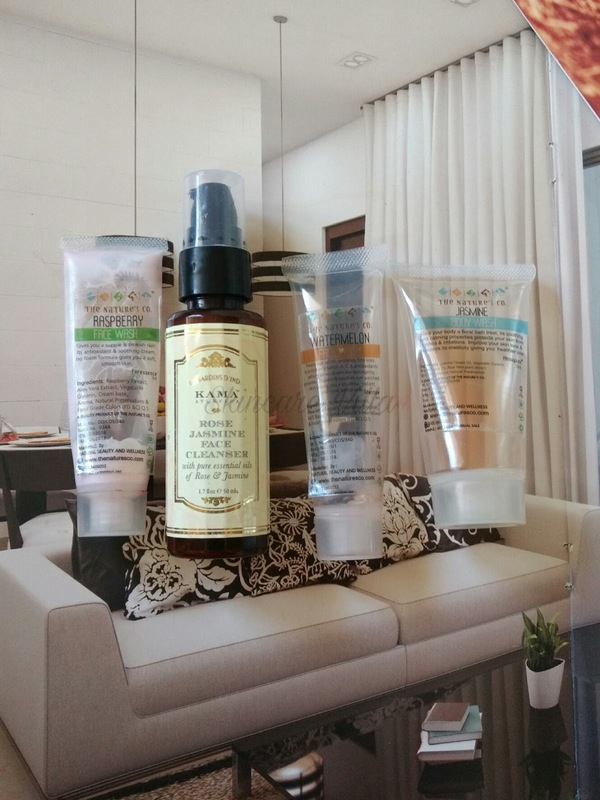 It's a must buy if you are a Kama Ayurveda fanatic or want to try out the products. This serves the best for a first timer as well. Yummy Watermelon fragrance and very runny consistency is what all I remember about this. It cleanses well and isn't drying all for oily skinned beauties. It can be skippable though as I didn't find anything interesting apart from the fragrance. Woody fragrance and little goes a long way product from the Nature's Co. It cleanses the skin well and foams modestly. Perfect for those who love shower gels and body washes. I cannot stop praising The Nature's Co Bearberry Liquorice cream for its efficiency in reducing my pigmentation marks. The product is very suitable for all skin types and a very little is needed for each use. 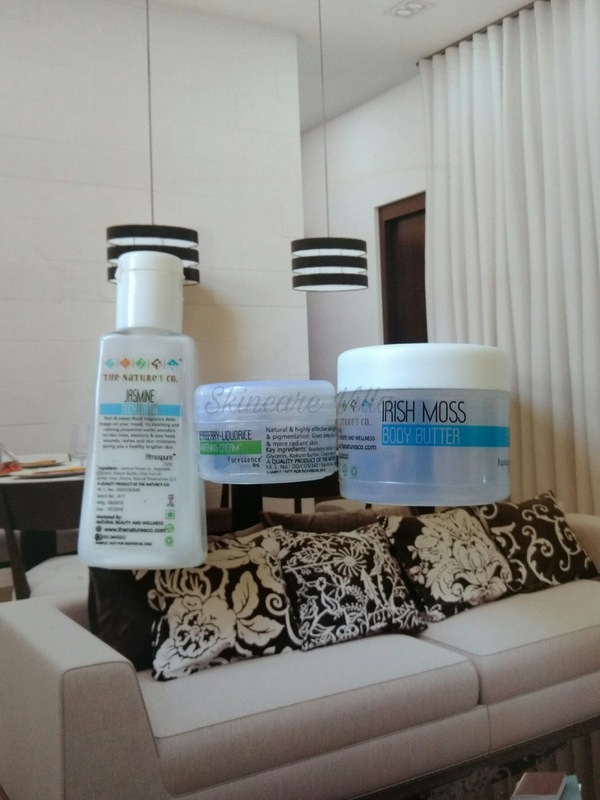 It works quite well if you have pregnancy pigmentation, unexplained pigmentation, whatsoever pigmentation issues you have, this cream is the answer for it. Do give it a try you are looking for a worthy product. Another product from The Nature's Co which smells nice but has incomplete ingredients list. Lives true up to its claims of hydrating and moisturizing the skin well, but falls apart in the ingredients list. You can give it a try if you are a TNC loyalist and are in for luxurious products. Another promising product form TNC which hydrates the skin well and lives up to its claims. Sometimes the fragrance can be a bit irritating if the lotion is applied in excess. But a paraben free lotion is always welcome for those looking to avoid these nasty chemicals. 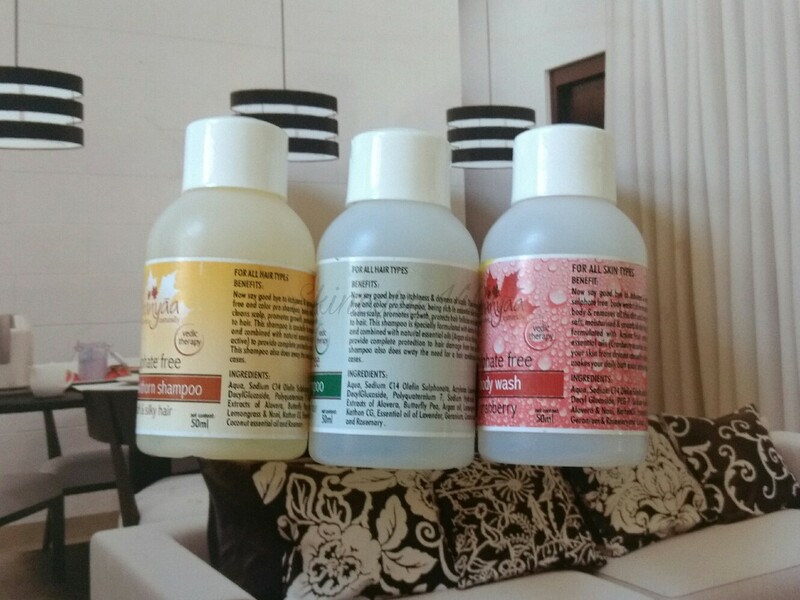 Aranyaa Shampoo and body wash were quite good keeping in mind the fact that they are SLS, SLES free. The body was is what I liked the most as it had amazing fruity fragrance. Overall nice products to try out for a change. 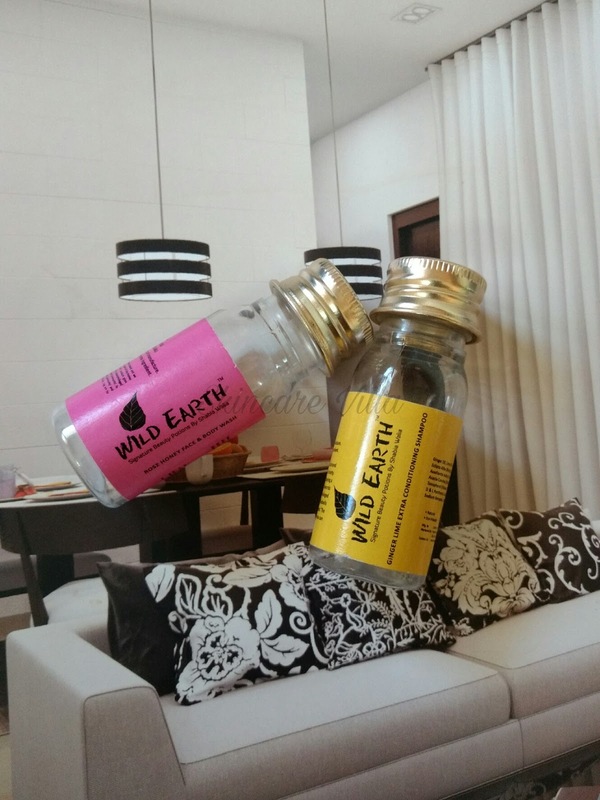 Wild Earth Rose Body wash is a good body wash if you are already into body washes and love trying out something new. However I felt that the fragrance was a bit artificial sort and consistency of body wash was very thick, making it difficult to dispense the product. This shampoo didn't reduce my Dandruff as well my dryness. I wasn't expecting some major changes with a travel sized product of course. But yes it did reduce the frizziness of my dry hair. I expected a lot after reading the ingredients list and hence ended up being disappointed😐. So this was my empties list and one more empties list is on the way. What have you all emptied over a period of time.